Hacker, Free Software enthusiast, TDF background task wrangler, standards wonk. Thorsten was part of the old OpenOffice project almost from the start, when he joined the then-Sun-Microsystems development team back in early 2001. He's a computer scientist by education, and a Free Software enthusiast by heart, a geek from early childhood - and someone who was lucky enough to turn a hobby into an occupation. During his now eleven years of tenure in the project, he's spent most of his time hacking the code in areas ranging from build system, platform abstraction libraries, Impress and Writer. 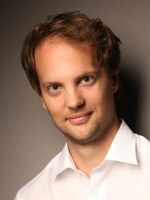 Thorsten is a former co-lead of the late graphical system layer project, and member of the OASIS ODF technical committee. He's sponsored by SUSE to work full-time on LibreOffice.